When I mention “the unit block” of a street, this means the incident occurred at an address anywhere between 1 and 99 of the street. On Monday, 11-05-18 at 11:43 p.m., a 26-year old San Francisco resident was arrested for driving under the influence of alcohol after being involved in a collision with a vehicle on the 900 block of Brunswick Street. On Wednesday, 11-07-18 at 5:24 p.m., Officer Lajoie was on patrol in the Serramonte Shopping Center and was flagged down by a H&M store employee who pointed at subjects who stole merchandise from the store. Officer Lajoie announced himself as a Daly City police officer and told the subjects to stop so he could speak with them. As the officer was speaking with the male subject, he said the male dropped the bags he was carrying and attempted to run. As this was happening, the females who were with the subject ran out of the shopping center with bags in their hands. The male subject resisted arrest and continued to try to flee from the officer until he was detained. The females were later detained as they tried to leave in a vehicle in the parking lot. All of the stolen merchandise (over $3,000) was recovered. The male, a 23-year old Fairfield resident, was arrested for felony shoplifting, resisting arrest, conspiracy to commit a crime, possession of burglary tools and an outstanding warrant. The first female suspect, a 24-year old Fairfield resident, was arrested for felony shoplifting, conspiracy to commit a crime, possession of burglary tools and four outstanding warrants. The second female suspect, a 22-year old San Francisco resident, was arrested for felony shoplifting, conspiracy to commit a crime, possession of burglary tools and for two outstanding warrants. The last female suspect, a 20-year old San Francisco resident, was arrested for felony shoplifting, conspiracy to commit a crime and for possession of burglary tools. On 11-08-18 at 7:40 p.m., Officer Fulmore conducted a traffic stop at Lakeshire Drive and Santa Ana Drive. This traffic stop resulted in the arrest of a 55-year old San Francisco resident for possession of a controlled substance with the intent to distribute, possession of drug paraphernalia and a no-bail felony warrant. Officer Fulmore also arrested a second suspect, a 35-year old San Francisco resident, for possession of a controlled substance and for a warrant. On Friday, 11-09-18 at 3:47 a.m., Officer Mendiara conducted a business check at the Loop Neighborhood Market on Gellert Boulevard. The Loop Market cashier approached the officer and asked him to check on a suspicious female who was sitting at the counter, reading a book, moving her head erratically and moving back and forth on the stool. The officer asked the female if she was okay if she had any form of identification. The female told the officer she did not have any identification but said she was on a San Mateo County court mandated diversion program for previous narcotics possession arrests. Officer Martin arrived to assist and recognized the subject from previous contacts. The subject immediately got up and walked to the rear of the store to get napkins. The employee witnessed the subject place a black pouch from her sweatshirt pocket and into the trash can. Officer Martin checked the can and found a glass pipe and a baggie containing methamphetamine. Officer Mendiara cited the subject, a 34-year old Daly City resident, for possession of a controlled substance and for possession of narcotics paraphernalia. On Friday, 11-09-18 at 5:25 a.m., a 27-year old Daly City resident was arrested for driving under the influence of alcohol after being involved in a traffic collision with injuries. This occurred at Garden Gateway and Junipero Serra Boulevard. On Friday, 11-09-18 at 5:30 p.m., Officer Graner was dispatched to a residence on the unit block of Cliffside Drive on the report of a trespasser in the reporting party’s backyard. The reporting party said the suspect was bleeding from the face and stated he was armed. When the officer arrived, he was told by the resident that the subject had left the backyard. Shortly, after, other officers found a subject matching the description at Westlake Park. The suspect, a 38-year old transient, was subsequently arrested for being under the influence of a controlled substance. On Saturday, 11-10-18 at 7:15 a.m., a 63-year old Daly City resident was the victim of assault with a deadly weapon and attempted robbery when an unknown suspect followed the victim to his residence on the 100 block of Bismark Street and forced his way into the garage via a side door. The victim attempted to stop the suspect, and a physical altercation ensued. The suspect had the victim in a choke hold, and the victim started yelling. The victim’s 33-year old daughter ran downstairs to help, and after being shoved, the suspect fled. There was no property taken, but both victims suffered from abrasions. This investigation is continuing. On Saturday, 11-10-18 at 12:33 p.m., Officer Graner was on patrol and saw a male holding jumper cables near the intersection of MacDonald Avenue and Talbert Street. The officer asked the subject if he needed help. The male positively identified himself and was on probation for burglary and identity theft. Officer Graner searched the subject and found the subject was in possession of a controlled substance (Hydrodone) without a prescription. The officer cited the 24-year old San Francisco resident for this offense. On Saturday, 11-10-18 at 6:05 p.m., officers arrested a 25-year old Pacifica resident for dialing 9-1-1, claiming his friend had been shot with a gun at the Serramonte Shopping Center. The officers found the subject’s statements to be unfounded, and they arrested him for the crime of making a false police report. On Sunday, 11-11-18 at 12:04 a.m., Officer Covarrubias was dispatched the parking lot near the Habit Grill restaurant on a report of a subject who had not paid his taxi cab fare and was fleeing the scene. The cab driver pointed out to the officer the subject who was in his cab. The subject said he had no money on his person and had no way of paying for the fare. The subject, a 47-year old San Francisco resident, told the officer he may have a warrant out for his arrest. The subject had several bags of property on his person and he gave consent to the officer to search his belongings. The subject had methamphetamine, Xanax, Adderall and a glass pipe in his possession. The subject was cited for these offenses. There were two robberies during the past week. On Monday, 11-05-18 between 6:15 p.m. and 6:45 p.m., a 71-year old Daly City resident said he was robbed by for subjects who punched his ears, grabbed and forced him against a wall and took money from his pants pocket. This occurred on the unit block of West Market Street, and the investigation is continuing. On Sunday, 11-11-18 at 6:02 p.m., a 12-year old Daly City resident said she was walking home after hanging out with friends at Lincoln Park and was walking in front of the library on Hillside Boulevard when a suspect approached her from behind. The victim said she was on her cell phone texting when the suspect asked her for the time. The victim responded, and the suspect grabbed the victim’s left wrist that she used to hold her phone, and the suspect took the phone. The victim said the suspect told her he was going to need her purse too, said he had a gun and to not resist. The victim said she gave the suspect her purse, and the suspect told her to not look back. The victim believed the suspect fled north on Hillside Boulevard. The victim described the suspect as a black male, approximately 20 years old, 5’10”, medium build, short cropped hair, dark skinned and wore a white jacket. There were four residential burglaries burglary during the past week. On Monday, 11-05-18 between 6:30 a.m. and 10:00 a.m., an unknown suspect burglarized an apartment on the unit block of Eastmoor Avenue by going through the sliding dining room window. The loss was a HP laptop and checkbooks. On Tuesday, 11-06-18 between 12:15 p.m. and 1:40 p.m., a residence on the 100 block of Ardendale Drive was burglarized. The suspect forced the front door using a blunt object and damaged the door and door jamb. The suspect stole jewelry, wallets, a purse, camera equipment, computers, identification and money. On Friday, 11-09-18 between 12:00 p.m. and 6:00 p.m., an unknown suspect broke the side window of a garage to a residence on the unit block of Berta Circle and stole a BBQ utensil. On Sunday, 11-11-18 at 12:01 a.m., a 17-year old Daly City resident was arrested for burglary and robbery after he entered his ex-girlfriend’s residence through a second story bathroom window. The subject took his ex-girlfriend’s cellphone. This occurred on the 400 block of Palmcrest Drive. There were six commercial burglaries during the past week. On Monday, 11-05-18 between 10:15 p.m. and 11:15 p.m., an unknown suspect broke into a locker in the women’s locker room of the Planet Fitness facility and stole the victim’s wallet containing a driver's license, social security card, credit card and keys. The suspect quickly used the victim’s credit card to make over $700 in unauthorized purchases. On Wednesday, 11-07-18 at 5:24 p.m., four subjects were arrested at Serramonte Shopping Center for commercial burglary after stealing items from the H&M Store. See notable reports above for more information. On Thursday, 11-08-18 between 12:11 p.m. and 12:45 p.m., two unknown subjects (a male and a female) stole over $1,500 in merchandise from JC Penney’s and left in a dark vehicle. This investigation is continuing. On Thursday, 11-08-18 at 1:35 p.m., two unknown females entered the Victoria’s Secret store, grabbed clothing and ran out of the store without paying for the items. The females left in an awaiting vehicle. This investigation is continuing. On Saturday, 11-10-18 at approximately 10:50 a.m., a female adult and a male adult entered the Walgreens store on Mission Street. The female grabbed the cash register, and both suspects ran out of the store together in an unknown direction. This investigation is continuing. Between 5:30 p.m. on Friday, 11-09-18 and 6:30 a.m. on Monday, 11-12-18, an unknown suspect forced open the rear door of a small business on the 5900 block of Mission Street and ransacked the business without taking any property. There were four vehicle burglaries during the past week. •	24 Hour Fitness parking lot—a wallet and cell phone were taken from the center console of a 2001 Honda Accord. The method of entry is unknown. Occurred on 11-17-18 between 5:00 a.m. and 8:30 a.m.
•	Lincoln Avenue/Lakeshire Drive—nothing was taken from a 2014 Toyota Prius. The front passenger window was smashed. Occurred between 8:30 p.m. on 11-08-18 and 8:21 a.m. on 11-09-18. •	Lincoln Avenue/Lakeshire Drive—keys to other vehicles were taken from the glovebox of a 2010 Toyota Prius. The front passenger window was smashed. Occurred between 8:30 p.m. on 11-08-18 and 8:21 a.m. on 11-09-18. •	Walgreen’s parking lot on Mission Street—a backpack containing classes and money was taken from a 2008 Toyota Corolla. The front passenger window was smashed. Occurred on 11-09-18 at 6:00 p.m. There were six subjects in the area are suspected of committing the crime. This investigation is continuing. There was one vehicle stolen during the past week. •	B Street/Hill Street—a 1997 Plymouth Neon. Occurred between 10:00 a.m. on 11-05-18 and 6:00 p.m. on 11-12-18. Effective immediately, all San Mateo County Law Enforcement and Fire Agencies’ 911 Dispatch Centers are equipped to receive and respond to mobile phone SMS Text to 911 messages. All phones or devices must include a text or data plan, be text capable, and have their location services enabled to send a text message to 911. Callers who cannot communicate verbally are now able to use the text to 911 service to request help directly from local public safety agencies. This technology directly benefits members of our deaf, hard of hearing and speech-impaired communities as they will now have a more efficient and effective way to request emergency services in times of need. Additionally, those who find themselves in a situation where it may be too dangerous to dial 911 will have another option to call for help during an emergency. For the deaf, hard of hearing and speech-impaired communities, texting to 911 is always an acceptable way to contact 911 for help. Others should only use the text to 911 feature when speaking to a 911 Dispatcher is not possible or may place an individual at risk. Examples include a domestic abuse situation, an active shooter incident, or an incident that has caused injury resulting in an inability to speak. Otherwise, it is always best to dial 911 and speak with a dispatcher directly. This alert is a free digital communication system used by emergency management agencies and first responders to send emergency alerts, notifications and updates to portable digital devices. In an emergency situation, an alert will be sent by San Mateo County authorized personnel and you will receive messages on your cell phone or mobile device. Most carriers activate the service automatically. To receive emergency alerts, sign up by visiting www.smcalert.info. According to County records, Daly City has the lowest number of registered users in the county. Please sign up today! Please “like” us on Facebook if you would like to see updates and photos about the Police Department. 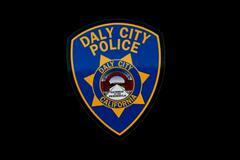 Our handle on Twitter is @DalyCityPD, and on Instagram we are DalyCityPD, if you would like to follow us. If you have any suggestions or questions, please do not hesitate to contact me. Thank you for your concern for our community. I appreciate you taking the time to read my bulletins. Your comments are always welcome! Our Anonymous Tip Line is (650) 873-2467 (873-AIMS).